Courtesy of Brian Beard, CIP. GOLFING TO GLORY: Caroline Farber '20 watches her shot on the green. She won medalist honors in the team's first three tournaments and was the first in program history to be named an All-NESCAC golfer. 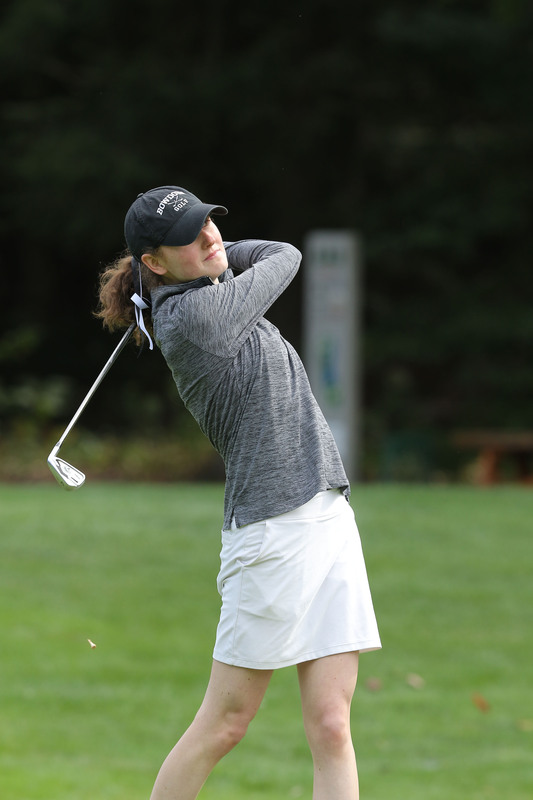 Caroline Farber ’20, captain of the Bowdoin women’s varsity golf team and consistently a top NESCAC performer, has not garnered a shortage of individual achievements over her golf career. 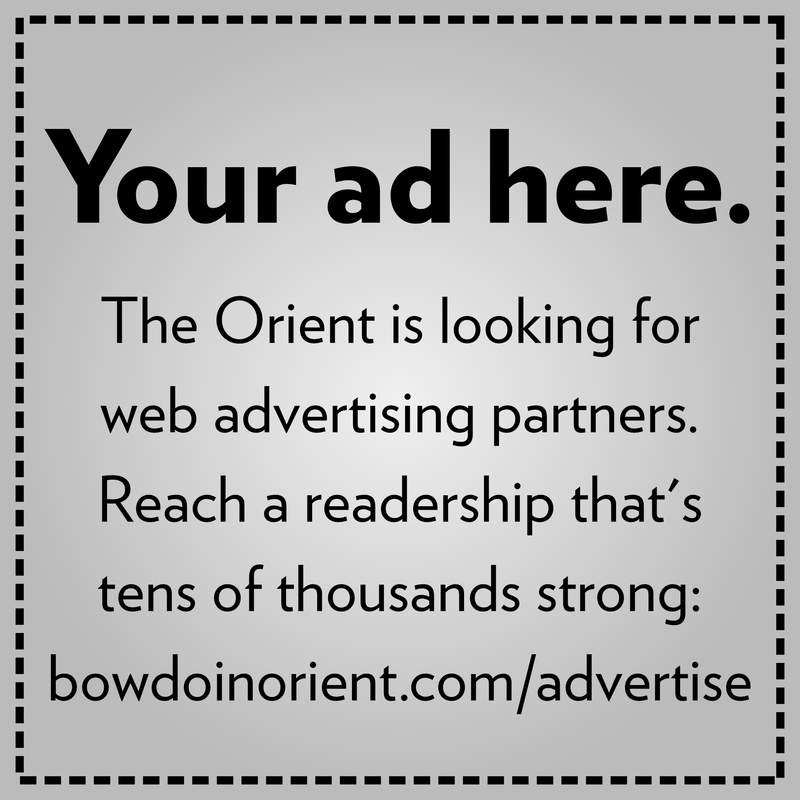 Farber is the first Bowdoin women’s golfer to be named All-NESCAC. Expectations for her performance this year are high. However, when asked about her goals for this upcoming season, she has her sight focused beyond her own athletic performance. 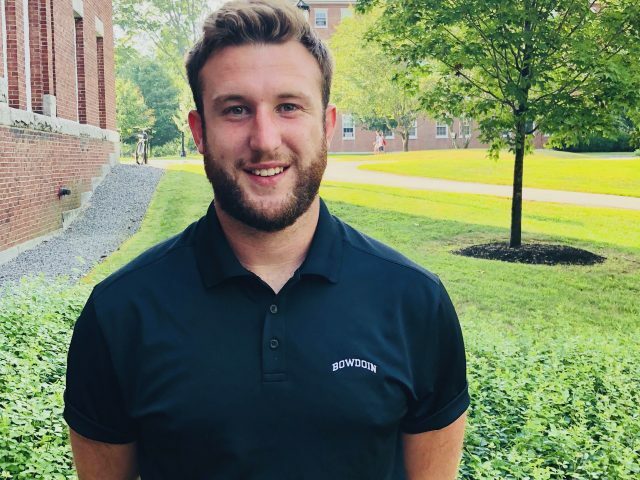 “It’s really important for me as a leader to make sure that everyone on the team is improving and is comfortable with each other and feels like they are representing Bowdoin in the best way,” said Farber. Both she and captain Emme McCabe ’20 are committed to not just competing at the highest level individually but also fostering a supportive team dynamic. Farber has been playing golf since her teens and got her start attending various golf camps over summers. She became more serious about the sport during her first year of high school after sustaining a series of concussions that barred her from contact sports. Over her high school career, Farber made great strides as a player, culminating in a first-place finish at the Rhode Island girls’ high school golf championship in 2016. “I was lucky to play on a really good high school team with a great support system,” said Farber. She has found the balance between pushing herself to compete at the highest level while still finding pleasure in golf. She characterized her mentality on the team as “an interesting blend between putting the work in and taking [golf] seriously … and having fun in tournaments.” This ethos has yielded considerable results: Farber finished ninth at NESCAC individual championships last year and seventh the year before. Farber finds this balance in her practice schedule too. Known as a golfer who routinely spends time on the course alone to work on her game, she confirms that she “enjoys going out on the course and having that time during the day to [herself] to practice.” However, despite the individual nature of the sport, Farber embraces the team atmosphere as well. “I also love playing with people, and I’m lucky to have a lot of close friends on the team and other people who take [golf] just as seriously as I do,” said Farber. Head Coach Stu Cady praised both Farber and McCabe’s qualities as leaders: “[their] leadership by work ethic is great. Everyone else follows behind—they love them as people and as leaders … and [the captains] also do a good job of making sure everyone is feeling included.” That commitment to inclusion and a supportive atmosphere is one of the great early successes of this year’s team. 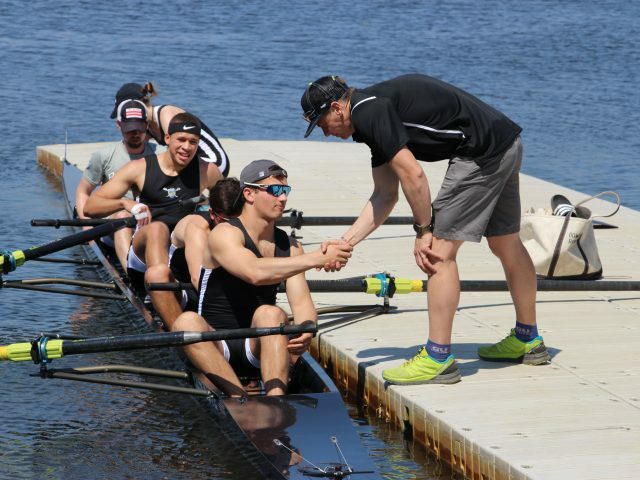 With Farber and McCabe at the helm, the team has gotten off to a hot start, including first-place finishes in both the Bowdoin and Bobcat Invitationals and a third consecutive Maine State Championship title. Farber has continued her excellent play, taking home first-place in all three tournaments by five, nine and seven strokes, respectively. But these exceptional performances aside, Farber is proud of the atmosphere she has helped bring to this year’s team. With a leader who is committed to creating a supportive team atmosphere and Cady describes as “authentic and true to herself,” the team is poised for an exceptional season.